"I think that any single act that you do potentially could change the world." Ms. Schuld also gave an update on the sewing center that CIS purchased with the 2013 KABF grant, along with an invitation to the inauguration ceremony on October 18, 2014. After some ups and downs they were able to purchase the women’s center along with a new security fence. A new roof and floor are still needed but where there’s a will there’s a way. A plaque that was commissioned for the inauguration of the sewing center reads: “Funded and managed by Kelly Ann Brown Foundation and CIS (Center of Exchange and Solidarity).” Kelly Ann Brown Foundation is excited to be in community with CIS and the women of Tasajera Island! 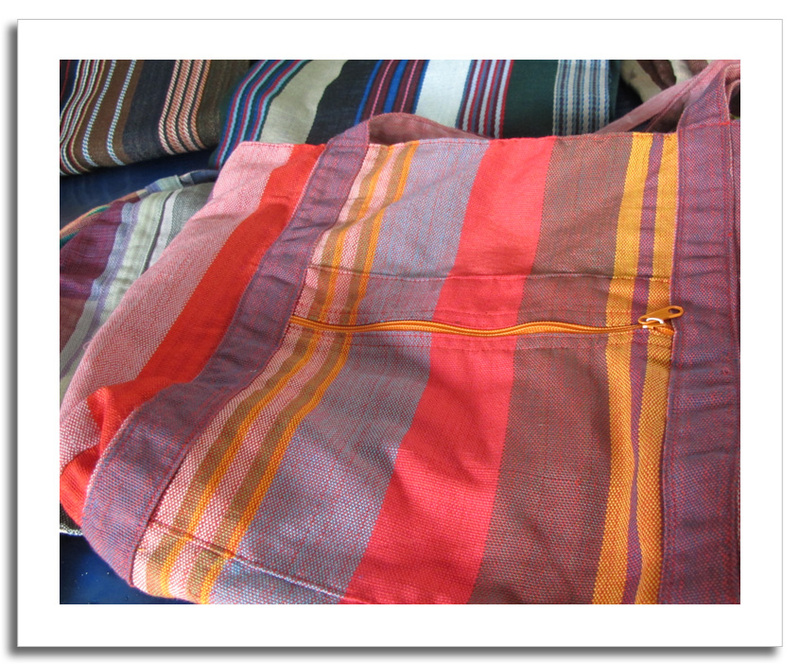 A must-have hand-made woven bag! The cooperative consists of fifteen women, with six working full-time at the center. All women have received hands-on training in the art of sewing, and can boast the ability to create beautiful one-of-a-kind purses. Their latest accomplishment? 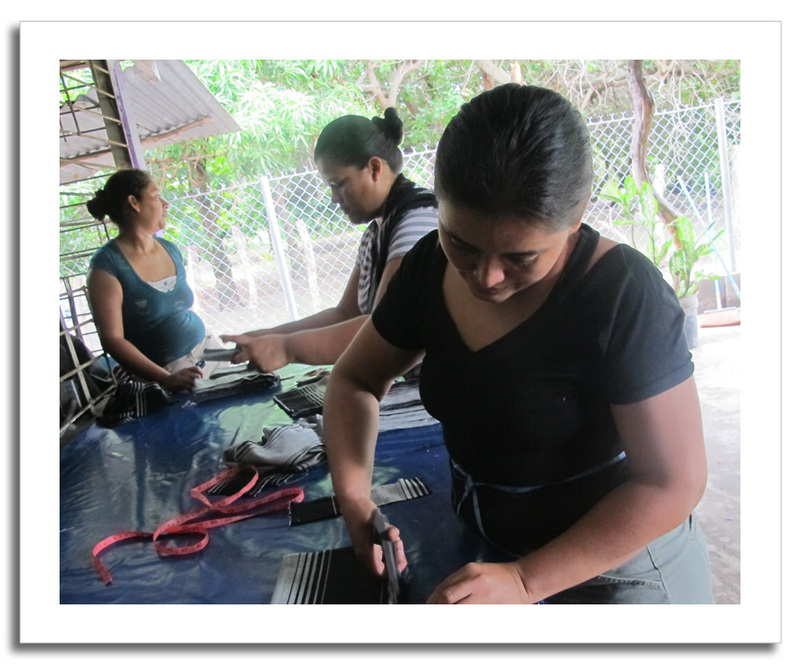 All fifteen women have been certified in sewing machine repairs! This is exciting because in the past, repairs to the machines could run as high as $100, defeating the efforts of their labor. They can now repair their own machines as well as offer a repair business to the community. Truly a win/win! "Thank you for your faith in CIS and these women. I hope the foundation will also consider planning a delegation and visiting the center. I assure you it will be hugely inspiring!" 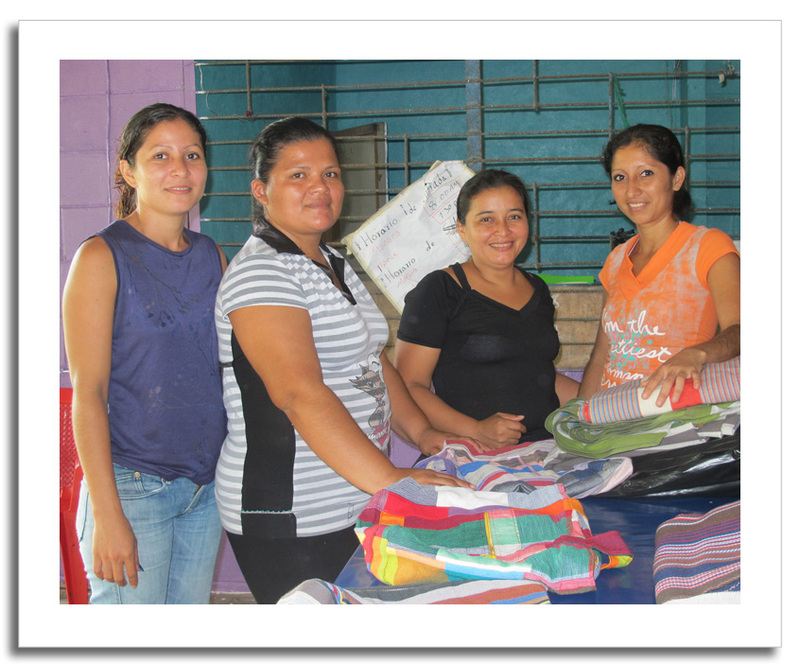 Four of the women of the sewing center: Vanessa, Flor, Carmen Elena and Sonia with their latest creations!